Watching Martha Stewart cook is watching a genius at work. If you have ever dreamed about recreating her masterpieces in your kitchen, this is your shot. Marley Spoon and Martha Stewart have come together to make every dinner you make finger-licking good and a pleasure to behold. Not just that, they let you boil, sear, broil, and grill like a real expert, with pre-measured ingredients and simple yet incredible recipes. If you are interested in channeling your inner Martha and mastering the art of effortless pro cooking, take a look at this Marley Spoon review. 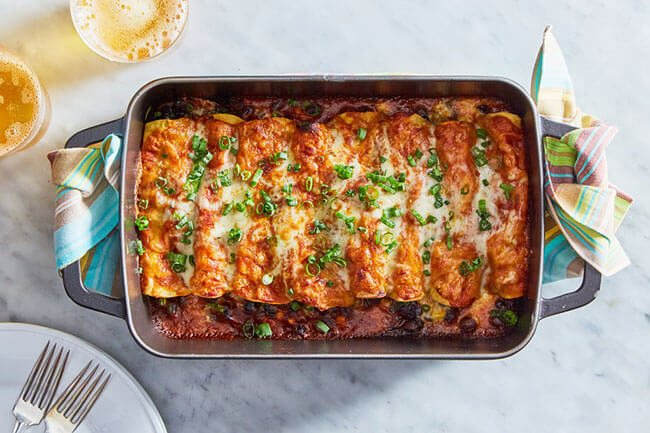 Marley Spoon is a subscription meal kit service that brings you pre-measured ingredients and tried and tested Martha Stewart recipes every week. You get to pick the recipes you want to try out and you can skip a delivery whenever you have other plans. Designed for fans of classics as well as home cooks who want to get creative in the kitchen, Marley Spoon draws inspiration from Martha Stewart’s recipe archive that comprises 18,000+ diverse meal ideas for various skill levels. Its menu is among the richest in the business and about half of the meals featured take 30 minutes or less to make. On top of that, the recipes are always clear and never include too many steps. Unlike with many recipes you can find online, there is zero guesswork. Even if you are taking your first steps in the kitchen, you do not have to worry about underwhelming results since the carefully designed instructions are there to make sure you do everything right. Of course, every good meal starts with good ingredients and Marley Spoon has you covered there as well. If you are making a steak dinner, you can rely on the service to source delicious and healthy grass-fed beef. If you are cooking up a colorful veggie dish, you can expect it to be extra tasty with the farm-fresh seasonal produce from Marley Spoon. The company even sources artisanal extras like spices and seasonings that can give your meals that much-wanted flavor boost. 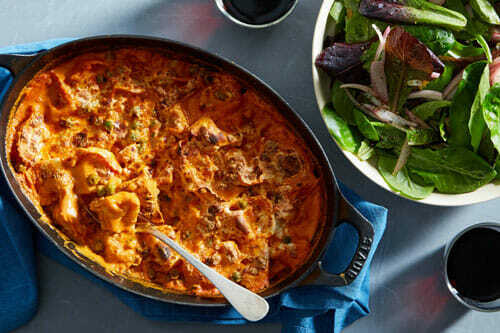 The top-quality ingredients, reliable recipes, and vast menu combined with great subscription flexibility make Marley Spoon one of the best meal kit delivery services in the country. 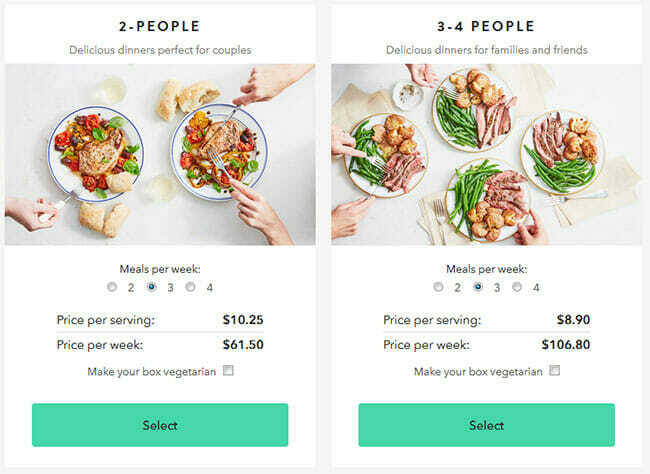 With Marley Spoon, you get to choose between the 2-person plan and the 4-person plan. Both meal plans allow you to order 2, 3 or 4 meal kits per week. The company’s menu changes weekly and you can choose from 20 original recipes every time you order. If you change your mind after placing your order, you can make alterations by accessing your account and choosing different meals. You can also switch between the 2-person and 3-4 person plans whenever you wish. If you do not like the meals on the current menu, you can skip a delivery. You can also cancel your subscription at any time. Marley Spoon makes ordering extremely easy and lets you have full control over your orders. It allows you to tailor your subscription to your needs, so you never feel stuck or unhappy with the service. Having Martha Stewart on your side is pretty much enough to be several steps ahead of the competition. Martha’s experience, love for food, and sheer talent guarantee that every dish that comes out of her mind and kitchen is a real work of art. Now, she has partnered with Marley Spoon, making haute cuisine a breeze with hand-picked, pre-measured seasonal ingredients and amazing recipes broken down into only 6 simple steps. Cooking like a pro has never been easier. What is interesting is that, according to Marley Spoon’s calculations, getting premium-quality ingredients from Marley Spoon costs less than buying the same ingredients at your local supermarket. Plus, there are no shipping costs and you do not only get ingredients but also carefully crafted, unique recipes that allow you to hone your cooking skills, expand your horizons, and delight your taste buds. Speaking of ingredients, Marley Spoon sticks to the farm-to-table method of ingredient sourcing. It only picks high-quality meat and produce responsibly grown by farmers it personally cooperates with, making sure you get the freshest and best ingredients every time. On top of that, the meal kit delivery pre-measures everything, meaning there is no waste, while ensuring the portions are ample and ultimately satisfying. Apart from taking great care that you get exactly as much food as you need, so none of it ends up in the trash, Marley Spoon helps you reduce your carbon footprint by using recyclable packaging. It also offers tips on how to recycle every part of the packaging, from paper bags and boxes to plastic bags and ice packs. You can work on saving the planet while eating and cooking better than ever. What is also unique about Marley Spoon is that it is a company that truly cares about its customers and wants to make meal kits available to everyone who dreams of an easier and more convenient way to cook at home. 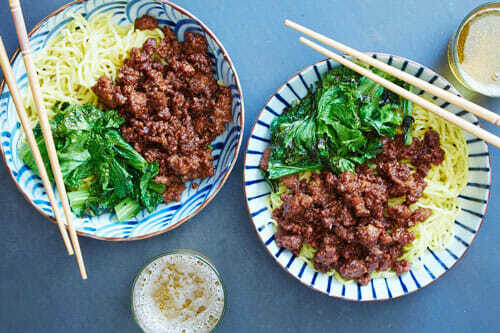 That is why Marley Spoon has recently launched the most affordable meal kit service in the US called Dinnerly. That means that now you can enjoy an even wider range of Marley Spoon meal kits and switch between the two services depending on what you are craving and how much you want to spend on your meals. We cannot say that any other meal kit company out there offers such a varied service that caters to the needs of nearly every hungry American. Marley Spoon draws inspiration from Martha Stewart’s recipe archive that comprises 18,000+ diverse meal ideas for various skill levels. Its menu is among the richest in the business and about half of the meals featured take 30 minutes or less to make. We have mentioned previously in this Marley Spoon review that the meals this company offers come in two sizes: intimate dinners for 2 and fun dinners for a family of 4. The 2-person meals are more than enough to satisfy 2 adults while the 4-person meals can feed up to 4 adults or 2 adults and 2 children with healthy appetites, with potential leftovers. It is important to note that Marley Spoon takes special care that the family meals are perfect for kids, keeping in mind both the suitable portion size and appropriate recipes. The 20 meals on the Marley Spoon menu fall into 5 categories, including Health & Diet, Vegetarian & Vegan, Meat & Fish, Under 30 Minutes, and Family-Friendly. Thus, there are always plenty of options to choose from. You can go with one-pot dishes or meals that are ready in no more than half an hour. You can opt for red meat, poultry, fish or vegetarian meals. There are also gluten-free, dairy-free, low-carb, and low-calorie meals. Meals suitable for children are labeled as kid-friendly. Marley Spoon strongly believes that the customer knows best. If you particularly like a recipe, you can rate it, either on the website or through the app. That way, you increase the odds of that dish reappearing on the menu as a customer favorite. In order to allow you to have enough time to pick the meals or skip a week in case there is nothing that suits your taste on the menu, Marley Spoon allows you to look into the future. You can see meals planned for the upcoming weeks, up to a month in advance, so there are no surprises and you can make decisions about your order on time. Finally, we would like to focus a bit on the recipes themselves. What we love most about them is how truly simple they are. No matter how intricate a dish may seem, there are only 6 easy steps, with nothing unclear about them. As soon as you order, you receive information about the basic ingredients and tools you need in order to prepare the dishes and the same information comes neatly packed into your delivery. You also get to know whether the meals contain any allergens. Nutrition facts are available for every dish, including calorie, fat, protein, and carb content. The prices of meal kits at Marley Spoon differ depending on the number of kits you want to order and the meal plan you choose. You can expect to pay between $8.20 and $12.00 per portion. The average price per serving amounts to approximately $9.73. In case you are wondering about the weekly total, here are the specifics. 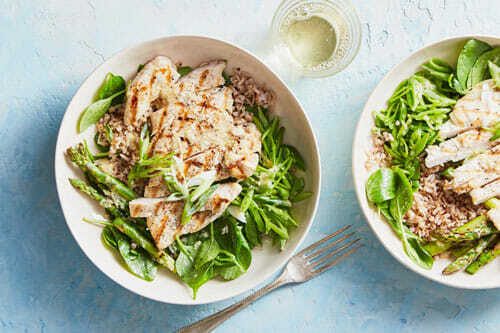 With the 2-person plan, 2 meals per week cost $48 ($12 per serving), 3 meals cost $61.50 ($10.25 per serving), and 4 meals per week cost $76 ($9.50 per serving). With the 3-4 person plan, 2 meals per week cost $76 ($9.50 per serving), the price of 3 meals is $106.80 ($8.90 per serving), and 4 meals per week cost $131.20 ($8.20 per serving). As you can see, the more you order, the less you pay for each serving. Another way Marley Spoon lets you save money on your orders is by offering free shipping on all orders. Marley Spoon has made its meal kits available in the USA, the UK, the Netherlands, Belgium, Germany, Australia, and Austria. However, it does not deliver to all locations in the countries listed above. It is available in most of the continental US. In order to check whether your city is on the list of Marley Spoon delivery areas, you can contact its friendly staff through live chat. Delivery times and days vary depending on the location. You can check the delivery times and days in your city via live chat or by choosing a plan and entering your zip code. The good news is that you do not have to be at home when your food arrives, so you do not have to stress about not being able to fit the time of the delivery into your schedule. To make sure Marley Spoon meets all your standards and expectations, it is important to know its biggest advantages and disadvantages. With a short overview of its pros and cons, you can easily decide if Marley Spoon is the right meal kit service for you. If you subscribe to Marley Spoon, you can easily prepare culinary masterpieces using only the ingredients and recipes found in your meal kit box. You may not be a pro chef just yet, but with Marley Spoon, you can easily make restaurant-grade meals. You don’t have to take our word for it – check out the images below to get a better idea of the types of dishes you can enjoy with Marley Spoon. Marley Spoon is a meal delivery service with plenty of unique qualities and hardly any downsides. It works together with Martha Stewart, who is a true food goddess. 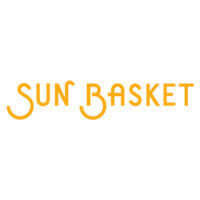 It offers meals for various dietary needs and preferences and dishes suitable for the sensitive tummies of children. The prices are more than reasonable and the shipping is always free. The subscription is incredibly flexible and you can change your order, switch between plans, skip a delivery or cancel whenever you wish. Every single time, you get exactly what you want and exactly as much as you need. The only problem is that it does not deliver all across the US, but we hope that this will change in the future. The company is also working on introducing breakfasts, lunches, and desserts into its offer, so there is even more deliciousness to look forward to. 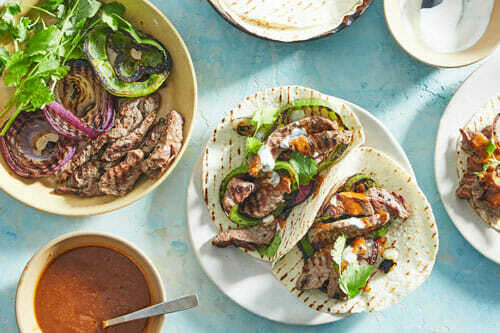 All in all, if you are looking for the highest-quality ingredients and amazing recipes at a good price, with no strings attached, this may be the meal delivery service you’ve been looking for. You can cancel your subscription at any time. To do this, you need to log into your account and find the cancelation option under My Settings. Where is Martha & Marley Spoon available? Marley Spoon delivers its meal kits in the USA, the UK, the Netherlands, Belgium, Germany, Australia, and Austria. However, it does not deliver to all locations in these countries. Contact the company to check whether your area is covered. How can I track my Marley Spoon box? You can check the status of your current delivery by contacting highly responsive customer service representatives through the live chat on the Marley Spoon website. Our ratings are the result of an objective and independent evaluation of Marley Spoon, generating the final rating that reflects the overall quality of the company. Ratings may change as the service changes. Marley Spoon customer rating based on 81 customer reviews. At first, Marley seemed a bit expensive to me, but it’s been 2 months now since my first delivery and I’ve noticed I’ve been spending much less money on food. The recipes are clear enough and I usually like them all, I just like my food spicy so I often add some extra salt and chili. Maybe it wouldn’t be a bad idea to offer extra spices, this way I always worry I’ll ruin the meal if I pick the wrong spice. I am very unhappy with my recent purchase. It arrived damaged. Produce was old well out of date completely unusable. Instructions were vague. Disappointed doesn’t even begin to discribe what I wasted $101.00 on. I can not get a response from customer service. I will not recommend this company to anyone. If I had to say anything it would don’t waste your money. Disgusting! 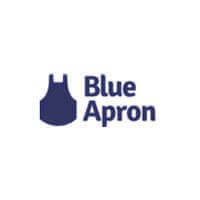 I will be going back to blue apron. I hard an ad on Sirius radio for this service. I've used Blue Apron in the past with good success, but I thought I should try another service. I didn't realize that Martha Stewart is now attached to this company - I would NOT have ordered anything from this ex-con.The recipes looked interesting when I ordered them. However the instructions for the first I tried (Cilantro Chicken and Rice) were ridiculous, disorganized, and basically worthless. And the recipe required a BLENDER and a PRESSURE COOKER! I understand many people might have a blender (I don't), but a PRESSURE COOKER? None of this was disclosed in advance.Ingredients were thrown in a box in paper bags that weren't closed properly, leaving ingredients flying around inside the box during shipping - including an easy-to-damage eggplant. Inside of the box was damp inside. I received the box when it was promised and collected it early in the day (noon-ish).I've already looked at the other two recipes. One is easy because it is based on packaged ravioli that you can buy anywhere. The other looks to have the same customer-unfriendly issues as the chicken.I've already cancelled this service. I'd urge you not to make the same mistake as I have. All I can say is “unbelievable”! Our first order was late due to ‘unforeseen ice issues’. We opted for the vegetarian option due to my daughter recently becoming one. The first dish we tried was missing the mozzarella, the second one was missing the sour cream, and the third one is missing the RAVIOLI!! The cilantro was bad and unable to use. Very disappointed. I cancelled our subscription and will never order from them again. I'm impressed with the recipes and food quality, but I can't give them 5 stars because there are no lunch or dessert options. I hope they will add more courses in the future because I really love what they are doing. Customer support could also be nicer. We found 1 verified Marley Spoon discount for April, 2019. Save $60 Save $15 on each of your first four boxes!!! Sign up and we’ll let you know about future Marley Spoon promo codes. If you like Marley Spoon but aren’t sure whether they are truly the ideal choice for you, you may want to take a look at our comparisons below to discover if one of their competitors is more suitable for you.